5.5 million dog owners in Spain – life’s good, even in the city! With more than 5 million dogs in Spain, it’s good to know there are plenty of things to do with your hairy friend. According to Spain’s National Association of Pet Food Makers (ANFAAC) there were 5,400,000 registered dogs in Spain in 2013 and as of 2014 that number is estimated to have risen to 5.5 million. So what can we do with our dogs? Well, according to the Eroski Consumer Department, dog owners in Spain spend between 700 and 1,500 euros annually towards the care and maintenance of their dogs (not counting the money spent on canine accessories which has surpassed the 300 million euro mark). Hence it’s good to know there are activities you can do with your dog, that not only will not break the bank, but will greatly benefit you both. 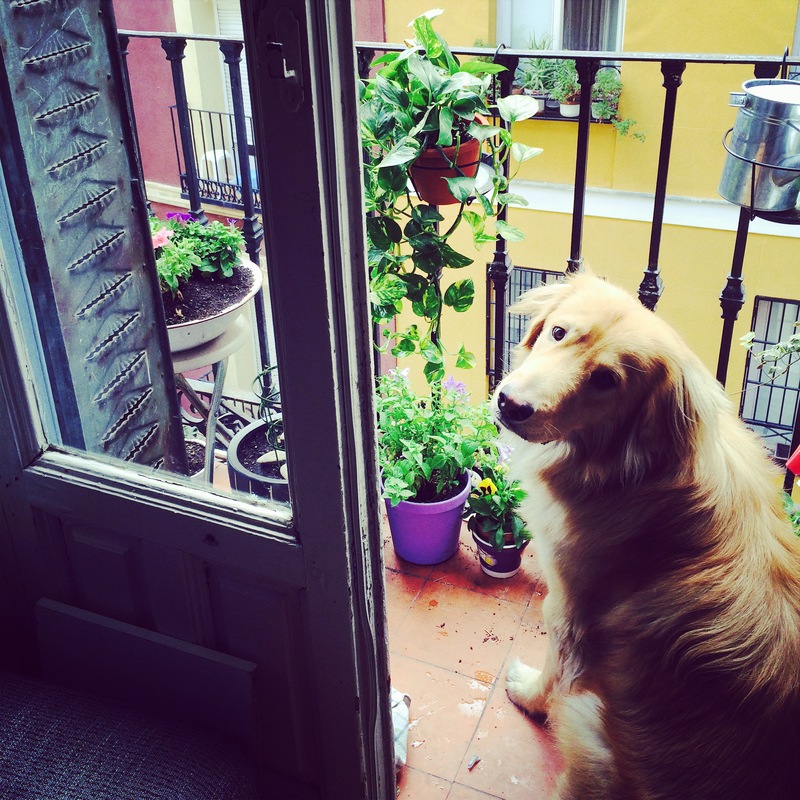 In Madrid, you have the option of taking in some culture while you spend time with your dog. You can leaf through books at the Casa del Libro (House of the Book) or the multi-faceted Panta Rhei bookstore. For those interested in art exhibits, you can take a stroll to the Fresh Gallery or the New Gallery; both dog-friendly art spaces where you can take in an exhibit while spending time with your pet. In addition, almost all terraces in Madrid are dog friendly, so you can catch up with an old friend while giving your dog some fresh air. You can also do brunch with your pet at the very dog friendly Cafe Federal in the Plaza de las Comendadoras in Malasaña bordering the Conde Duque area. For those who love the outdoors, Madrid’s beautiful Retiro Park is always an excellent option for spending quality time with your pet. Take a stroll through its forested trails into the duck lake, play a game of fetch or run with your pet; all of which is considered exercise which will in turn help alleviate stress, improve your health and strengthen the bond with your pet. Barcelona also has many beautiful parks and natural reserves in it’s surrounding areas that are perfect for dogs. The LLac Petit (small lake) of Terrassa, is only 30 mins away from Barcelona and is considered the ideal place for canine excursions since it’s not overly populated and is usually visited by families, fishermen and mushroom pickers. Another popular dog point is the Santa Fe Lake in the Montseny Natural Reserve Park. The Lake is surrounded by heavy forest and retains water all year around. At 50 kms from the city, It’s considered the perfect place to combine trekking with relaxation. For more information on dog parks and activities in Spain visit quedadasperrunas.com and srperro.com. However, no matter where or how you decide to enjoy your time with your pet make sure both you and it are always cared for. If physical activity is on the agenda make sure your dog is older than 12 months of age as it can be harmful to its development if you overexert it at a young age and no matter what the activity is make sure to always stay well hydrated. That goes for both you and your pet. If you’re bringing your dog to Spain from overseas please check out our Guidelines to keep in mind when bringing your dog to Spain. Don’t miss out on our blog posts and subscribe to our monthly newsletter here!